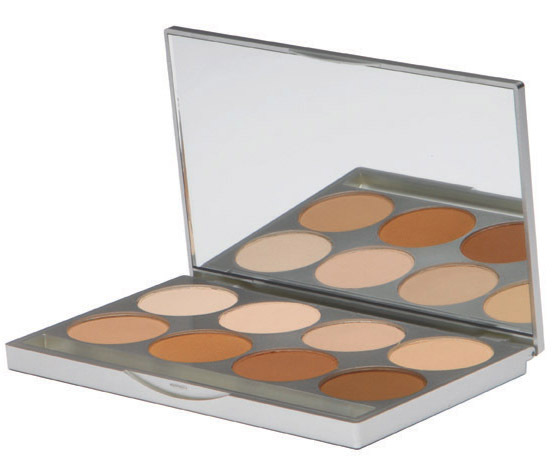 Home bronzer cargo contour cover girl depotting DRUGSTORE PRODUCTS NYC zpalette My Favorite Bronzers for Women of Color in a Z-Palette! 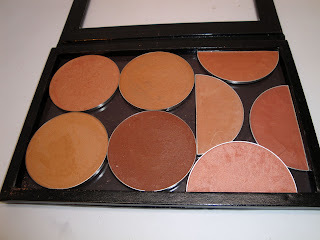 My Favorite Bronzers for Women of Color in a Z-Palette! A few months ago I had a litttle depotting project. I wanted to consolidate my most-used bronzers into one single Z-Palette. This would make my life much easier so I can easily see and reach for these products as opposed to finding the opening each individual container. In the process, I thought that this would be a good time to share my favorite bronzers! I mainly use them on women of color and there are a good amount of inexpensive ones in the bunch. Check it out! 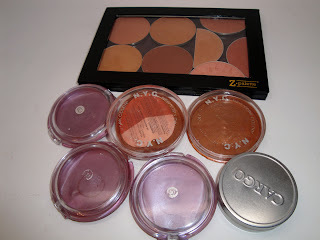 I also covered Bronzers for Women in color in this post from 2011. I posted this pic on instagram already but here is my depotted bronzer z-palette. I love that I save so much room and I don't have to worry about these individual compacts spilling around in my kit. CoverGirl Queen Collection: This is a super popular. I use the darkest shade ebony the most to contour. The others, I use to add a bit of shimmer and glow to the skin. These are not matte so take that into account when you contour. NYC Bronzers: I love these bronzer duos and they are super inexpensive at the drugstore. I use them to add either more of a brown or red tone to the skin to bring back warmth. This helps to color correct any ashiness or a foundation that is too light. Cargo Dark Bronzer: I got this from a recommendation from Celebrity MUA Sam Fine. This is a medium toned bronzer with beautiful shimmer. It makes the skin light up, so gorgeous! Milani XL Bronzers: I love this because it has a matte and shimmer side so you can do both contouring and shimmering, plus it's huge! MAC MSF Naturals: These are technically mineralized face powders but darker shades look great to bronze. They have a bit of sheen so it's great for contouring but still getting a glow. Graftobian HD Pro Powder: I use the deeper shades to bronze the skin. They are matte so they're especially good for contouring. You can buy them in pan form and it's super affordable so you can stick them right into your magnetic palettes. I'm always down for some product recommendations. Let me know your favorite bronzers in the comments below! I love AVON Arabian Glow in Shimmering Bronze and Nars Laguna for bronzing . @makeup by hend - thanks for the recs!